Gauteng is by far the smallest province in South Africa. It is also the wealthiest and most densely populated and accounts for 25% of the gross domestic product of South Africa. The capital city of Gauteng is Johannesburg, the "City of Gold" and economic hub of South Africa and of Africa. 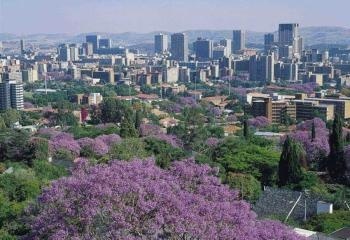 Other major centres in Gauteng include Pretoria, the beautiful administrative capital of South Africa. Vereeniging, Krugersdorp, Benoni and Germiston.